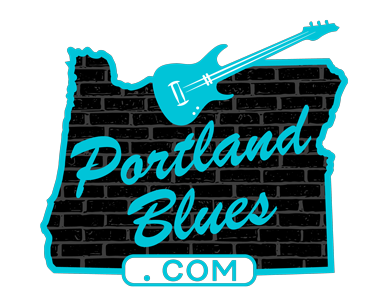 William Bell first made his mark on the soulful blues market back in 1961 when he released the song “You Don’t Miss Your Water” for the fledgling Stax label. Though perhaps not gaining the attention that many of his label mates may have ultimately received over time, the smooth vocalist and songwriter certainly left his mark creating a series of popular songs. Many of those songs became some of the label’s best known numbers including “I Forgot To Be Your Lover,” “Everyday will Be Like A Holiday,” “Share What You Got,” and most notably perhaps “Born Under A Bad Sign” that he co-wrote with Booker T Jones for Albert King. But here we are, fifty-five years since that first single and William Bell has cut a disc of music that will stand the test of time and will reestablish his own legacy as a performer. This Is Where I Live has brought Bell full circle back to Stax. And it is filled with some of the deepest soul ballads and upbeat tracks to hit the scene this past year or any year in memory. It could easily have been released back in the day, as it fully captures the sound emanating from the studio throughout the 60s and 70s, filled with horns and tales of heartbreak and joy. It is everything that you could have ever asked for in the genre and then some. Helping to guide Bell on this amazing recording is producer John Leventhal who also provided multiple instrumentation (guitars, bass, keys, drums and percussion) and back-up vocals, while co-penning a number of the selections. Bell’s songwriting is filled with stories of love lost and the self-exploration brought about by it. He looks back at where he has been, who he is and where he wants to be in “The Three Of Me.” He compares what goes on in life with your chances in a casino in “The House Always Wins.” The arguments and words that lead to the breaking of a relationship in “All The Things You Can’t Remember” that he’ll never be able to forget. That lost love is more noted in “More Rooms,” as he realizes just how empty the home they shared is now without her. Promises were made in an attempt to make it right with “I Will Take Care Of You.” But when it was all said and done tragedy occurs as she put “Poison In the Well” and he drank it. A classic example of Bell’s story-telling showing a return to his well-known form. But not everything on This Is Where I Live is about sadness and loss. He shares his life growing up in the South on “Mississippi-Arkansas Bridge” and “People Want To Go Home.” He recounts the good times and the people he has known in music and his return home to Stax where he belongs in “This Is Where I Live.” Two covers are also presented: Jesse Winchester’s soft acoustic piece “All Your Stories” and “Walking On A Tightrope” that was written by Leventhal with his wife Roseanne Cash. There is even a retelling of “Born Under A Bad Sign” that Bell presents in a softer approach than originally recorded back in 1967. Now in his mid-70s, William Bell has arisen like a phoenix to fully reclaim his spot in the music world, piecing together one of the absolutly most amazing discs of the year. If you want to hear a soul album that feels like a step back in time and music done right, this is one that you’re not going to want to overlook. Do yourself a favor, run out and buy This Is Where I Live. You will feel the passion, the personality and the emotion that only the purest of vocalists and the craftiness of a master story-teller can deliver. 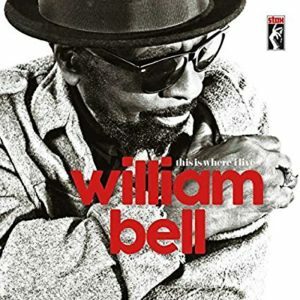 The honest truth here is that William Bell has delivered nothing short of a soul masterpiece. The Three Of Me / The House Always Wins / Poison In The Well / I Will Take Care Of You / Born Under A Bad Sign / All Your Stories / Walking On A Tightrope / This Is Where I Live / More Rooms / All the Things You Can’t Remember / Mississippi-Arkansas Bridge / People Want To Go Home.